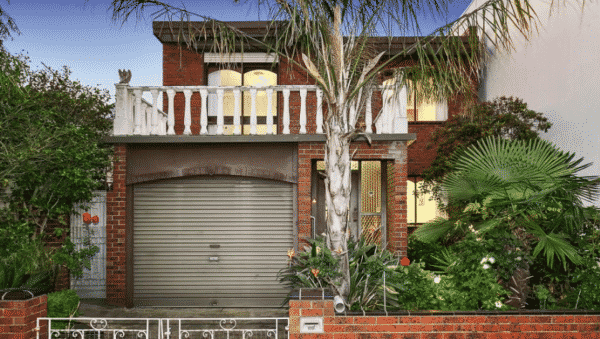 Most houses up for sale in inner-Melbourne at the weekend were hotly pursued by property buyers as the city’s auction clearance rate rose by nine points to 71.8 per cent. But apartments and townhouses with million-dollar price tags fared less well in suburbs such as Northcote and Richmond. 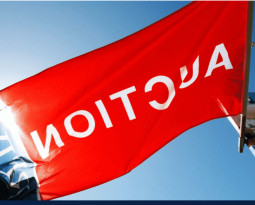 Professional property buyers said there was a mood of quiet optimism at open for inspections, and that family home buyers were preparing to take advantage of the more balanced transaction conditions in the market compared to this time last year. 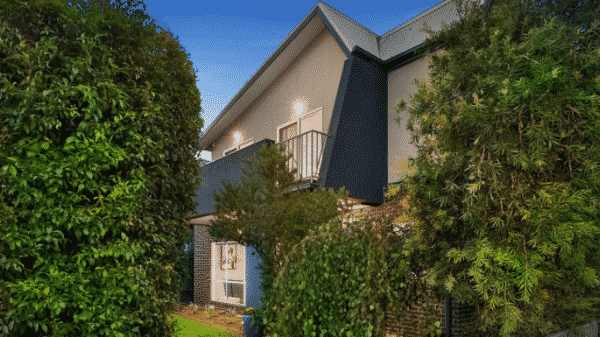 2/373 Highett Street, Richmond was passed in at auction, well below its reserve. 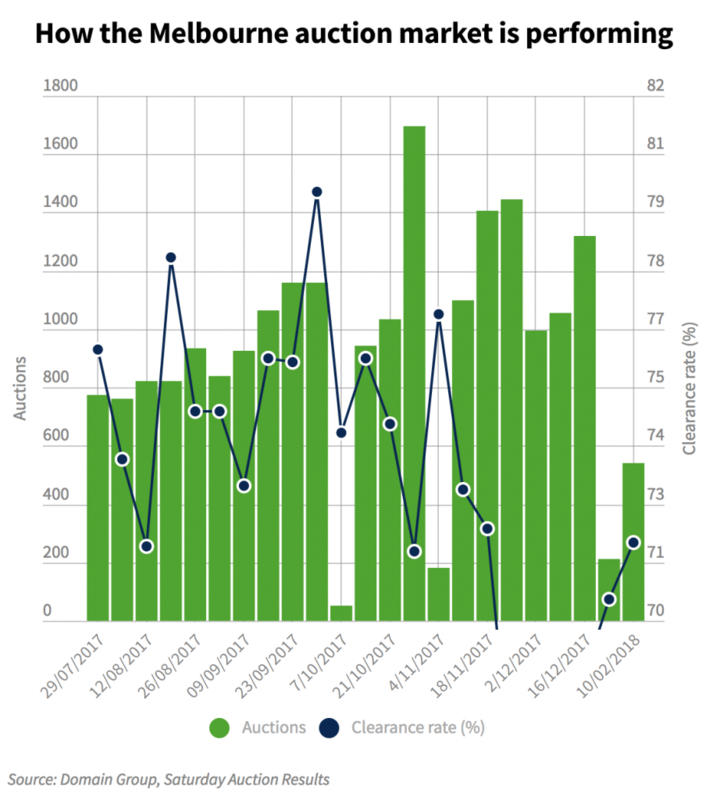 The weekend clearance rate of 71.8 per cent from 400 reported metropolitan auctions was well up on the 62.4 per cent clearance from 171 auctions reported to the Domain Group on the weekend of February 3 and 4. 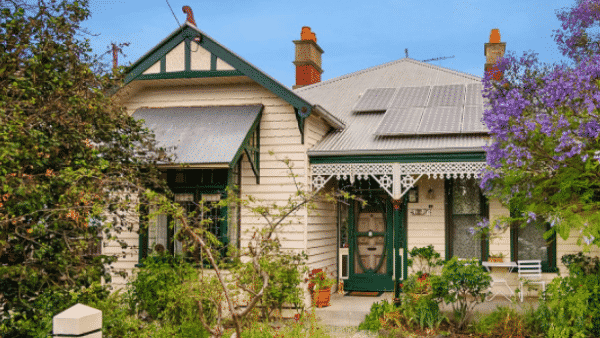 It’s early days for Melbourne’s 2018 market, but several plus-factors for vendors are in play. For one thing, agents are reporting improved levels of buyer enquiry and higher attendances at open houses. 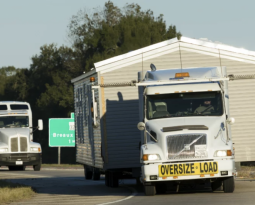 There is increased stock coming to the market in some areas, too; and real estate agents claim they have had no trouble selling left-over properties that failed to sell last December or November. This is a pointer to the strength of buyer demand. 199 Ross Street, Port Melbourne, sold for $1.95 million. Many agents are confident that there will be a sufficient number of buyers around this year. The real test will be whether there are enough sellers to satisfy demand and provide for an acceptable level of balance in the market. 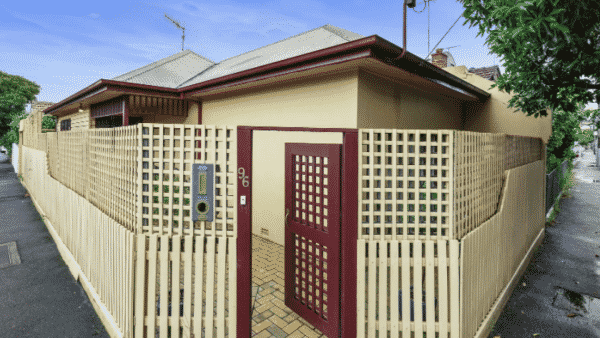 One of the key complaints of Melbourne home owners who wish to trade up or scale down their accommodation is that they won’t be able to buy a satisfactory replacement property if they sell their current property. On Saturday, Mal James, from James Buyer Advocates, attended 10 open for inspections of $1 million-plus homes and his staff inspected another five properties. 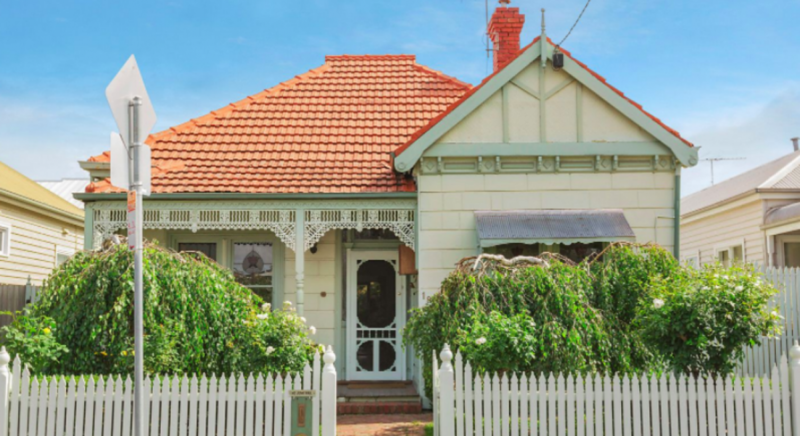 35 Kellet Street, Northcote passed in at auction on Saturday well below its reserve price. 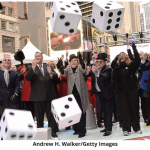 “There were good numbers at all the opens as opposed to spring last year when you’d go to an open and be the only person there or one of two,” he said. 82 Mansfield Street, Thornbury, fetched $1,850,000 on Saturday. 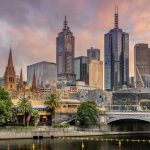 the Melbourne market had definitely levelled, with regulatory initiatives by the Australian Prudential Regulation Authority and the Foreign Investment Review Board working to dampen activity. The market was in general “no longer seeing ridiculous prices” being paid for prestige homes, Mr James noted. At auctions on the weekend, there was price sensitivity at various price points. 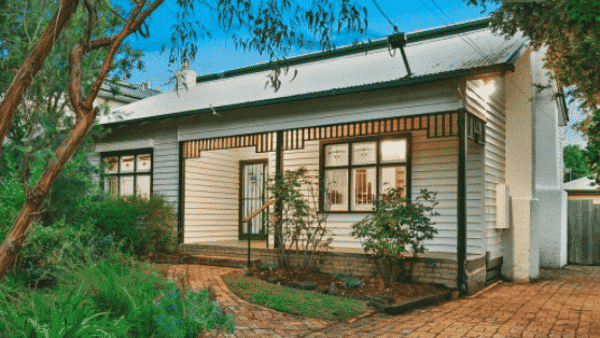 In Brunswick West, a crowd of 35 gathered to see two bidders duke it out for the keys to a double-fronted house at 186 Hope Street. The home sold for a $1.25 million, an “on the money” result right in the middle of the house’s $1.2 million to $1.3 million quote range. 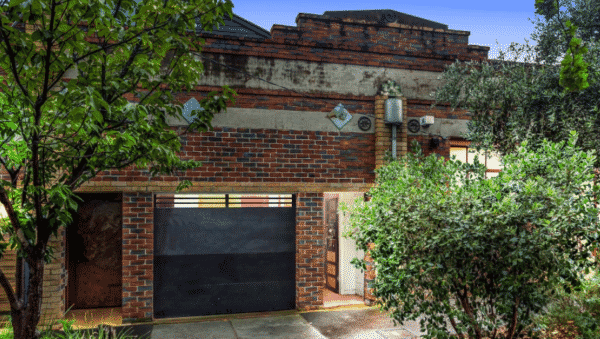 96 Cremorne Street, Richmond was knocked down for $1.26 million, well up on the $975,000 reserve. 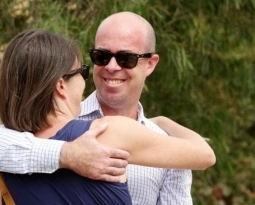 Jellis Craig selling agent Andrew Edwards said Brunswick West was shedding its poor cousin status to adjoining areas. 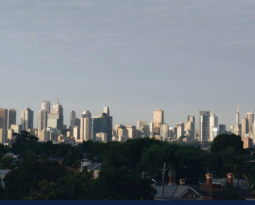 “As people have been getting priced out of Brunswick East and Brunswick central, they are finding that Brunswick West offers good-sized blocks of land and larger homes compared to the more central parts of Brunswick where there are more single-fronted homes,” he said. Among the top sales reported to the Domain Group was an older house at 8 Maxwell Street, Ashburton. It sold for $1,950,000.